Weather – warm & but slightly less humid with highs in the low 90’s and clear skies. Joined Dave Larson, Denise Gregory and all the folks at Kreisers for a breakfast Rally Event – a traditional breakfast of eggs, sausage, bacon, potatoes & sliced fruit was served to start us all off to a hearty meal. 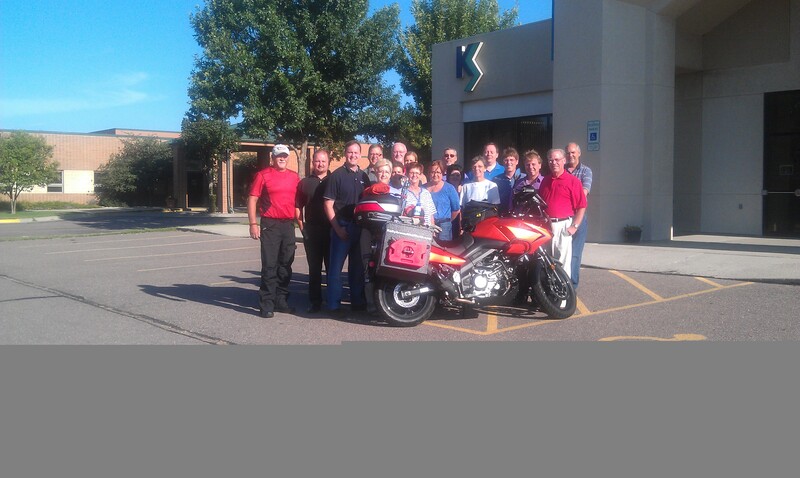 Kreisers employees were invited to make donations to Rally and Dave offered to match that total. Both Denise and I were taken on a tour of their corporate offices and there were great pictures of Dave’s grandfather who started the Kreiser business and his father that continued to legacy – Dave makes it a 3rd generation company with Scott Larson, Dave’s sone, rounding out the 4th. Congratulations on a wonderful success story! 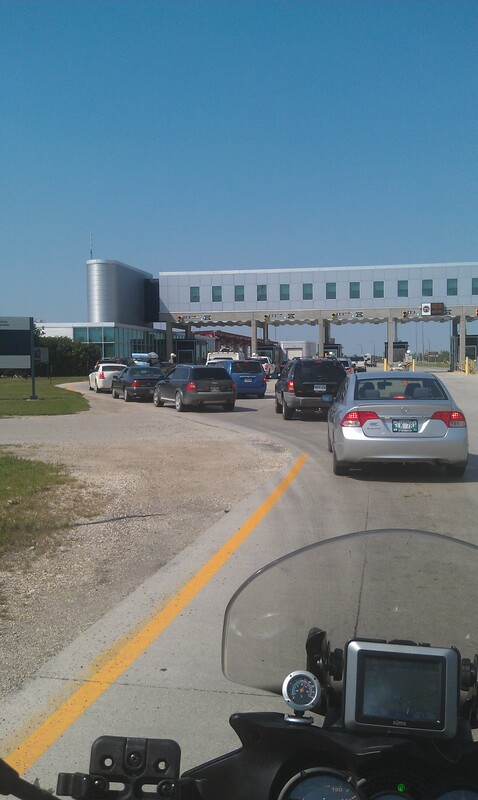 Rolled out of the Kreisers parking lot at about 9am bouind for Winnipeg crossing into Canada mid-afternoon and only taking about 15 minutes. After answering a half dozen questions or so, I was cleared and allowing to continue on my trip north. Met Michael Brown at the Northland Healthcare offices and was given a tour of their main facility – Northland offers a strong home healthcare presence in the Winnipeg area along with physician office supplies. From there we both joined Donna Jackson from Northland for a great Canadian dinner! Ended the evening with a grand tour of city of Winnipeg about 800,000 people. I did note one thing after crossing th Canadian border – the road are a bit bumpier…will just have to wait and see how that might impact my speeds and travel times. Michael was gracious to allow me to stay at his home – he even left his vacation spot from out of town to join me for the evening! This entry was posted in Corporate Sponsors, Rally Around the World and tagged Kreisers, Northland Healthcare by rallyaroundtheworld. Bookmark the permalink.